Several of Australia’s leading manufacturers gathered at Parliament House on Tuesday to showcase their expertise and innovative spirit as part of the Industry Growth Centre Showcase. ANCA, Evolve Group, Tradiebot and baby essentials company B.Box were all present at the Showcase to demonstrate how local manufacturing continues to thrive and export thanks to an industry-led approach driven by the Government’s Industry Growth Centre Initiative. 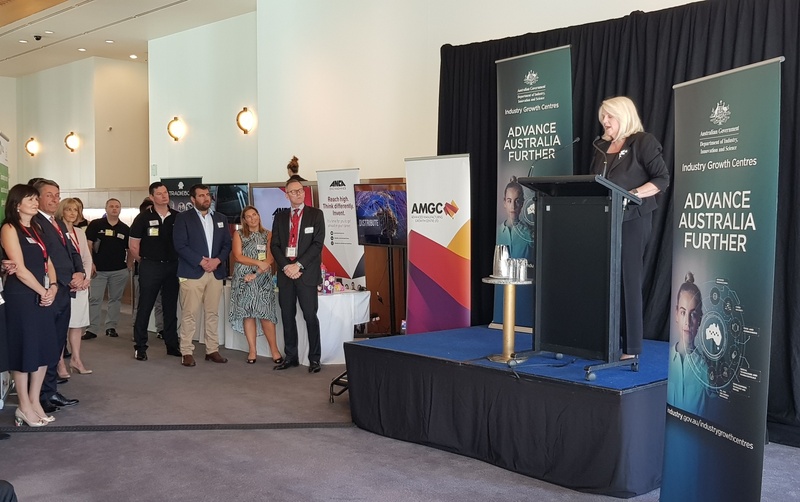 The Showcase coincided with Minister for Industry, Science and Technology Karen Andrews’ announcement of continued support for the AMGC, an industry-led organisation tasked with helping Australia transition into smart, high value and export focused industries. “This showcase demonstrates that Australia’s manufacturing industry is producing a diverse range of unique and valuable products – from commercial robots and toddler sippy cups to virtual reality auto repair,” Mr Goennemann said. Ty Hermans, Managing Director, Evolve Group, credited AMGC for ‘helping support the reshoring of manufacturing back to Australia’. “The biggest thing AMGC has done is its proactivity and backing up what it said it would do,” Mr Hermans added. Established in 2015 through the Industry Growth Centres initiative, the AMGC has to date helped hundreds of local manufacturers in their transition to become smart, export-focused businesses.